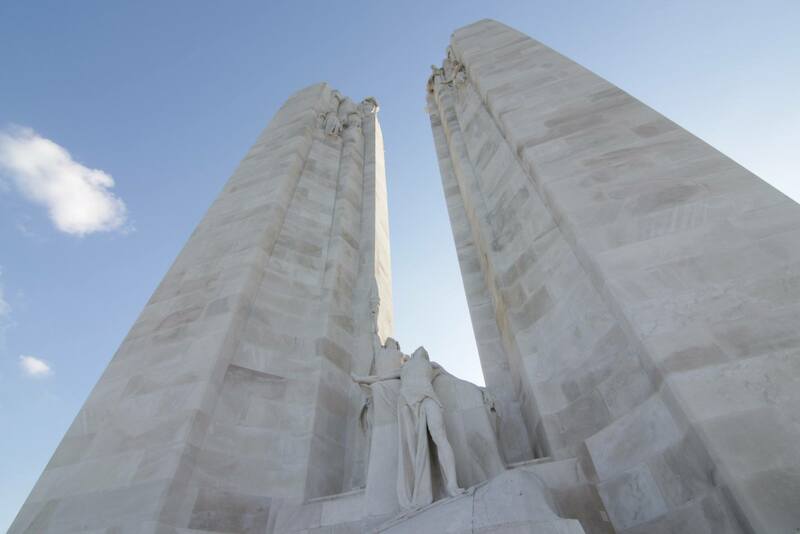 The application period for the 2019 Beaverbrook Vimy Prize is now closed. Thank you to all who applied. All applicants will be contacted by the end of April 2019. 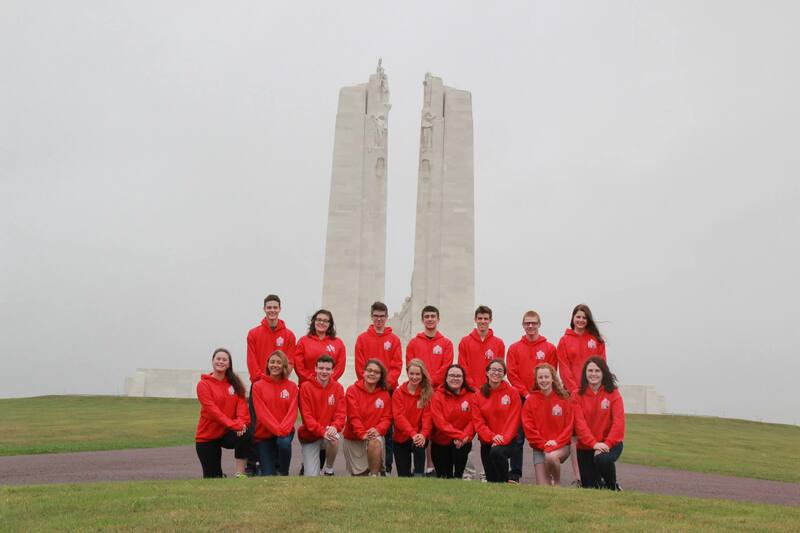 Alumni from the Beaverbrook Vimy Prize become ambassadors for the Vimy Foundation following their participation in the program, and continue working to share their new knowledge and perspective of the First and Second World Wars with their peers, schools, and communities. Their continued participation in Vimy Foundation activities is a great asset to the future of our organization. Since the program was established in 2006, over 180 students have been awarded this prize and have travelled to Europe with the Vimy Foundation. Some of these high school students have gone on to speak at their school’s Remembrance Day ceremonies, address guests at Vimy Foundation events, and study history in university programs across the country. The Beaverbrook Vimy Prize is supported by the Beaverbrook Canadian Foundation, and builds upon the legacy of Lord Beaverbrook, (1879-1964), a prominent Canadian historical figure known for his creativity, ambition, leadership and vibrant energy. Born in Canada of modest background, Max Aitken rose as a successful entrepreneur, both in Canada and the United Kingdom where he became an influential newspaper publisher, important Government minister and friend and close colleague of Winston Churchill during the Second World War. The Beaverbrook Canadian Foundation is located in Montreal, Quebec, and supports selected organizations, predominantly in Eastern Canada, in the areas of education and arts and culture. In 2012 Max Aitken was appointed Chairman and President of the Board of the Beaverbrook Canadian Foundation, in addition to being a trustee of the Beaverbrook Foundation and the Beaverbrook Art Gallery. Lord Beaverbrook was a giant of the British 20th Century political scene. He owned the Daily Express newspaper group and sat on the War Cabinet in both World Wars. The Beaverbrook Foundation supports a variety of causes in the United Kingdom and Canada, including preserving heritage buildings and supporting charitable appeals. Lord Beaverbrook also established the Canadian War Memorials Fund in 1916 to commission official war artists to paint the Canadian war effort. The official war art programme would eventually employ close to 120 artists, most of them British or Canadian, who created nearly 1,000 works of art. A number of painters were Canadian, including future Group of Seven members A.Y. Jackson, Frederick Varley, and Arthur Lismer. While most of the works depicted the fighting forces and geography overseas, important artists like Mable May and Manly MacDonald painted women in factories and fields in Canada. The war art had a tumultuous fate: Beaverbrook had hoped that it would be housed in a new national war museum, but successive governments refused to commit funds. The art languished in the basements and vaults of the National Art Gallery, rarely seen by Canadians. Fortunately, in the early 1970s most of the art was transferred to the Canadian War Museum and more recently hundreds of pieces have been restored, displayed in permanent and travelling exhibitions, or loaned to institutions across Canada. Learn more about Canada’s War Art by clicking here. The Beaverbrook Canadian Foundation is the generous benefactor of the Vimy Foundation’s flagship student program, the Beaverbrook Vimy Prize, which offers prestigious summer scholarships to youth 15-17 years of age to study the interwoven history of Canada, France and Great Britain during the First and Second World Wars.